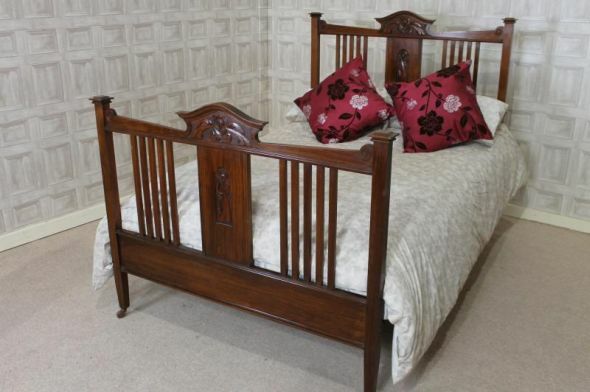 An elegant example of a late Victorian walnut double bed. This classic piece of English bedroom furniture would have been part of a beautiful bedroom suite at some stage. Sadly, the suite is not together, but this gives you the opportunity to purchase a lovely example of an elegantly carved double bed. An ideal stand-alone piece, or to complement existing bedroom furniture, this bed comes with a newly made slatted pine bed base. All that is required is a double mattress.